Home > FASHION DESIGN SOFTWARE > Fashion Design Software > 3- Beyond The Basics 1 Upgrade V8 Edition - Learn Advance Fashion Design + How to Create Technical Sketches and more. Take what you learn from the Basic System Training and advance it with this training upgrade. Get extra Digital Fashion Pro training so that you can master some advance techniques of the system to help your designs look extra fabulous. Training is presented in video format. Beyond the Basics makes it even easier than it already is to design with Digital Fashion Pro. 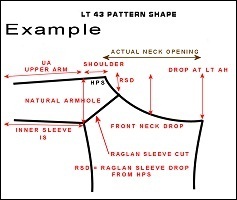 Once you create your technical sketch - you will then add it to a Spec Sheet. Example Below. 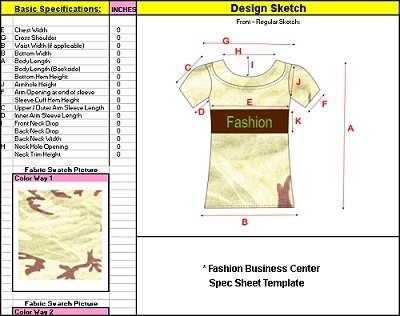 Spec Sheet Templates are available on our product called The Fashion Business Center. Requirements to use: Digital Fashion Pro V8 + 50 MB of free hard disk space. Windows Media Player.